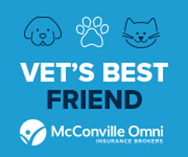 Canadian Vet and Canadian Vet Tech are viable and effective vehicles for communicating advertising messages to a targeted audience – the Canadian veterinary community! •	TARGETED READERSHIP: Get your advertisement in front of your target audience – Canadian veterinarians! • REACH: Canadian Vet is distributed to veterinarians in every province and territory in Canada. • INTERESTING EDITORIAL: Veterinarians tell us they read every issue cover to cover! •	TRUST: Canadian Vet is guided by an esteemed Advisory Board of Canadian veterinarians. •	RESPECT OF THE VETERINARY COMMUNITY: A credible source of continuous learning for veterinarians since 2006. • FREQUENCY: Canadian Vet is distributed bi-monthly to veterinary practices. •	ACCURACY: All editorial is reviewed and approved prior to publication. • SCOPE: Canadian Vet is read by companion, mixed practice, and large animal veterinarians. • EXTRA EXPOSURE: Advertisers receive a free sponsor logo in Canadian Vet Link, our monthly e-newsletter for veterinarians and their animal health teams! Please email your request to karen@k2publishing.ca. Generate additional awareness of your company or products and show your support of the Canadian veterinary community with a banner ad on our website! 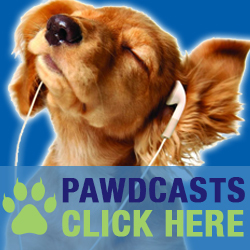 A great way to generate additional exposure and link veterinarians to your own websites! 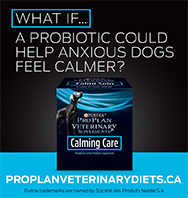 • efficient delivery of your direct mail pieces to Canadian veterinarians! • you provide only the direct mail pieces and we will manage the rest! •	Conference reports extend the reach of information presented by recognized experts at your company-sponsored meetings or symposia. 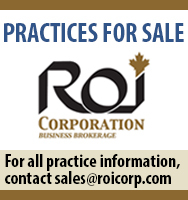 •	Our editor will attend your meeting, and compose an informative report to be published in Canadian Vet, on our website, and/or distributed by your sales professionals. •	Sponsorship of the report will affirm your company's commitment to veterinary education and support. Sponsor or advertise in Canadian Vet Link, our monthly e-newsletter that links veterinarians and their animal healthcare teams to timely information on new treatment protocols, disease control programs, animal welfare information, news from the Canadian veterinary colleges, etc. For more information please click HERE.